A joint review meeting on Naga peace process was organized by United Naga Council (UNC), the apex Naga organization in Manipur, under the aegis of the Naga Hoho at TNK, Senapati Community Hall on Thursday. The meeting expressed unhappiness over the inordinate delay in finalizing the framework agreement signed way back on August 3, 2015 in New Delhi. The joint review meeting was attended by about 500 delegates including present and former executives of the UNC, All Naga Students Association Manipur, Naga Women’s Union, Naga Peoples Movement for Human Rights, All Naga Tribe presidents from Manipur, senior advisers of the UNC and Naga leaders from four districts of Chandel, Senapati, Tamenglong and Ukhrul. The unanimously urged the negotiating parties to bring an acceptable and honourable political settlement in a time-bound manner. The participants also reaffirmed and called upon Nagas to remain united and support the historic hard earned peaceful ‘Indo-Naga’ political issue till the political aspirations were achieved. It also affirmed that Nagas would not compromise their inherent rights under any circumstance. The house cautioned any Naga elected representative, political leader, political party, unmandated or unauthorized Naga individual or group not to attend or participate in any assembly or meeting that would sabotage the peace process. 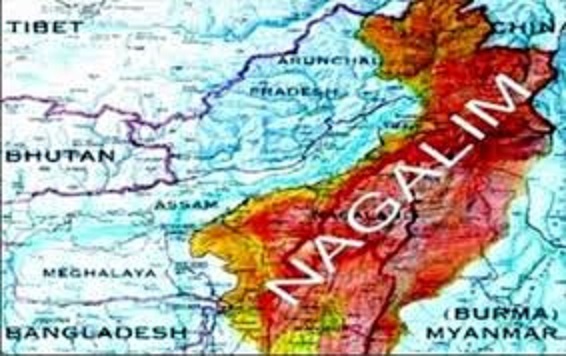 It was also decided in the meeting that anyone defying the Naga political principle and its position would be treated as anti national and their entry into Naga territory would be banned. At the start of the meeting a silent prayer in honour of late Isaac Chishi Swu, then chairman of NSCN (I-M) was also observed.